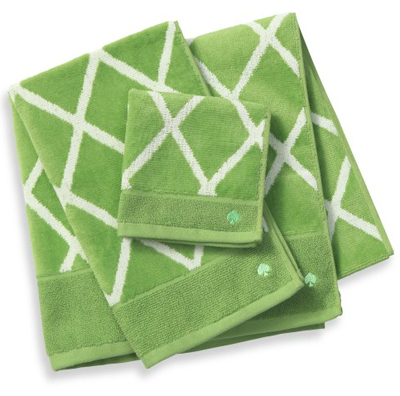 Add a refreshing look to your bathroom with these stunning green kate spade new york Gardner Street Bath Towels. Bound to brighten any bathroom decor, towels sport a classic lattice pattern. Coordinate with the kate spade Gardner Street shower curtain for a truly beautiful look. $7.99-$19.99. Buy here.